Powerstar has been struggling… her recent work for Elite Force has been well below the standards she set in the past. She is made to face a heroine trainee; Bluebird. This is an embarrassment for Powerstar but she expects to take an easy victory but will it end in a humiliating defeat? Powerstar’s woes are continuing as she is brought down a few levels to fight trainee Bluebird. 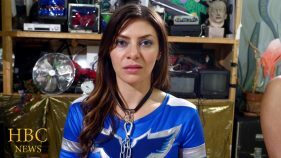 The proud superheroine is insulted by this demotion, but she shouldn’t be, as her growing weakness gives Bluebird a chance to cause a huge upset. Will this be the final nail in the coffin for Powerstar’s Elite Force career?